Did you know children as young as 10 can get certified as a PADI Junior Open Water Diver? This may not be suitable for all children, but if you think your child is ready Gili Trawangan is one of the best places in Indonesia to get them in the water. Keep on reading if you are thinking about taking your child diving for the first time. Is Your Child Ready to Dive? If your child has expressed a desire to dive and you want to try it out, Bubblemaker or Seal Team programs are a good place to start. These are 1-day courses that offer some basic scuba diving skills and fun underwater activities. If you’ve already done this or want to go straight into the PADI Junior Open Water Diver course here are some tips to see if your child is ready. Can they read and understand adult level study material? Will they be able to respond to problems or ask for help without acting impulsively? Can they patiently learn in classrooms, pool and open water situations? They will need considerable attention span to take everything in. Will they feel comfortable telling a dive instructor or dive master if something is uncomfortable or they don’t understand something? If you can answer yes to all of these questions it sounds like they are ready to dive! The PADI Junior Open Water Diver course is taught exactly the same as the PADI Open Water Diver course. There is a knowledge development section, which can be done online, independently or in a classroom. Children from 10 years old will be able to use the eLearning program, but must be able to understand and take on the information. After learning the basics on paper, it’s time to get in the pool and put that knowledge into practice. Basic scuba skills, hand signals, and getting used to the gear are all part of this element of the course. For all divers this is the time to get used to the feeling of breathing underwater in a confined and controlled environment. Once the divers are ready, it’s time to move into open water. 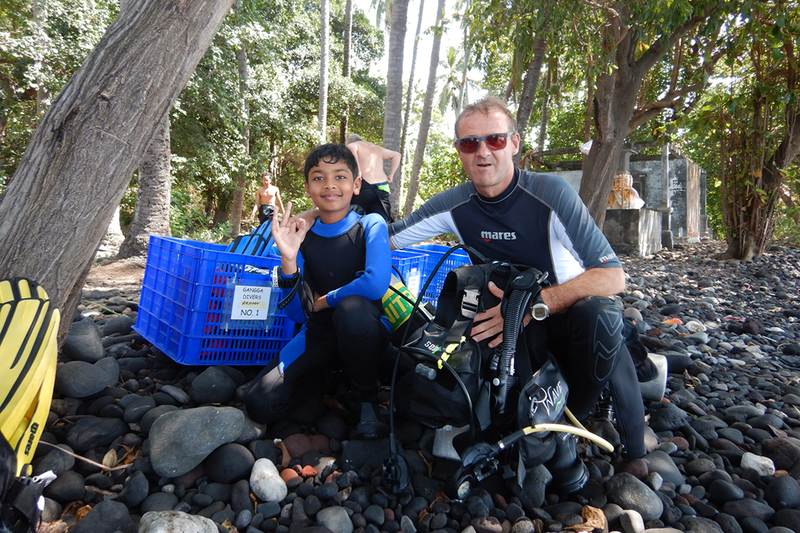 Divers between 10 and 11 years old are required to dive with a PADI Professional or a certified parent or guardian. They will be limited to dives up to 12 meters. From 12 to 14 years old this increases to 18 meters. Gili Trawangan is known for its calm waters, gentle currents and also has plenty of shallow dives perfect for beginner divers. New divers will be able to see incredible corals and marine life without having to travel very far by boat or dive to depths greater than they are certified. 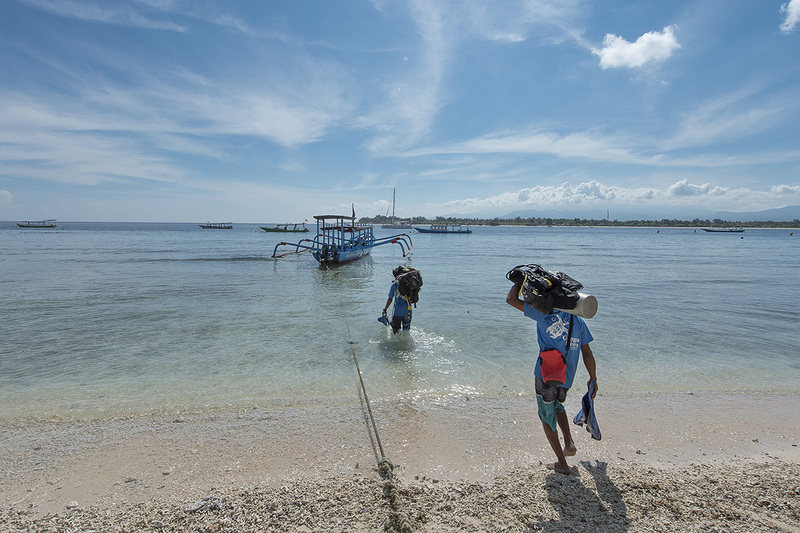 Gangga Divers at Villa Almarik use the hotel’s pool for practice and certification and also keep diving groups small. 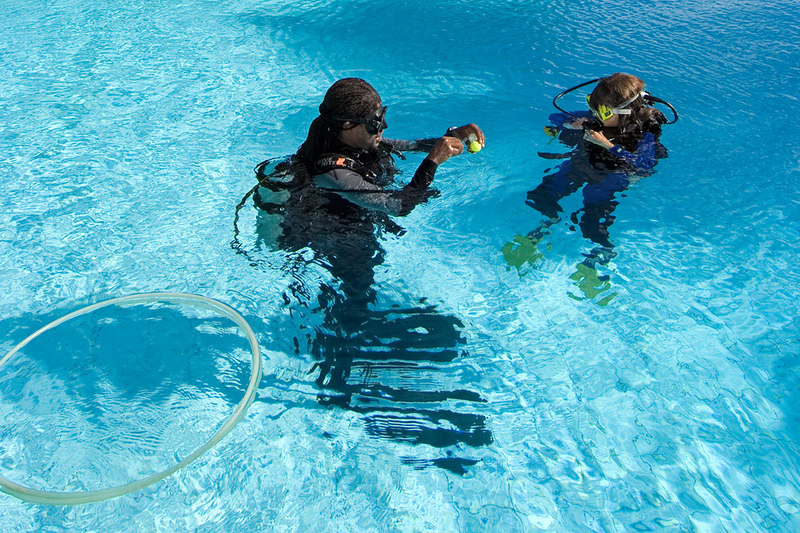 Generally there are no more than 4 divers per guide, which is ideal when kids are learning. 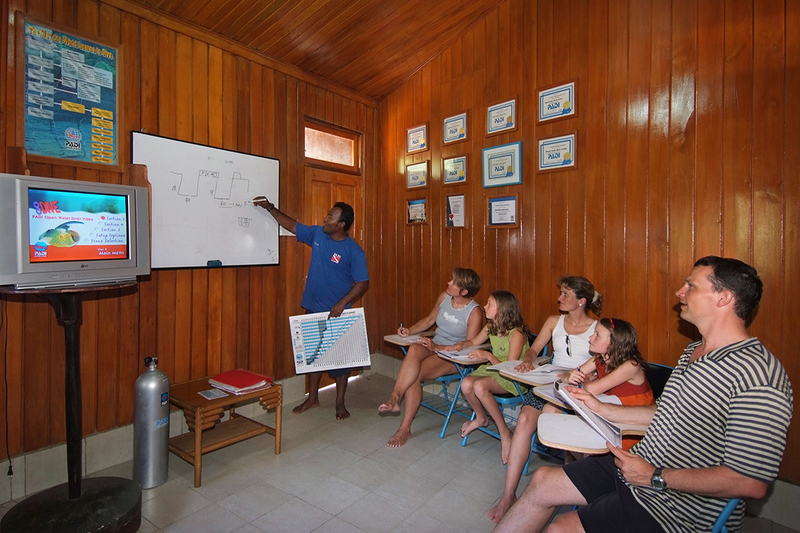 They can get to know their dive instructors and form a rapport with them. It also helps that the island has a very relaxed atmosphere, which allows for good sleep, time to study, and not too many distractions. With too much going on around them, it can be difficult for children to take in and retain all the information. And when you’re learning to scuba dive it is of the utmost importance that you remember everything you have read or your dive instructor has told you. If your child is ready to dive they could be on the path to an incredible underwater journey. The younger people are when they start to dive, the more likely they are to be comfortable with it. They will be aware of the natural environment and conservation and can share the love for the ocean with their diving parents. It’s also a fantastic way to teach young people about responsibility, risk management, and dealing with situations in a mature way. Are there any worries you have about your child learning to dive? Ask us about them in the comments below.